A fan once said, “It’s sounds like James Brown’s band went to Africa.” Bringing funk music back to its African roots is precisely what the Afromotive is doing with their style of afrobeat music. Based in Asheville, NC, this large ensemble stays true to the elements that started afrobeat music- West African rhythms, song forms, and instrumentation- while bringing the music to the 21st Century through strong song writing, improvisation, and heavy beats. Thirty-third generation djembe player Adama Dembele from Cote d‘Ivoire, West Africa brings his vast musical knowledge and touring experience to the Afromotive. These traditional West African rhythms combined with a mentality for upbeat funk music is what the Afromotive brings to its audiences. They have created a sound that crosses musical and ethnic boundaries. 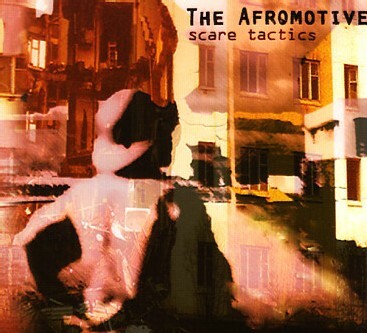 On their debut album "Scare Tactics," The Afromotive takes the raw energy of their live performance into the studio. This album is an elaboration on the language of afrobeat music, yielding a truly unique sound that is rooted in tradition.